As the end of 2011 approaches it’s time for everyone to publish their “Best Of” lists for everything from films to books to music. For the past few years I have posted my lists on Facebook, but now that I have this blog it makes more sense to post them here and share via Facebook. But if you’d like to look back at previous lists head over to Facebook and you can find them via my timeline. Superheavy by Superheavy — Ordinarily I’m not a big fan of so-called “supergroups” but this album tears it up and got major airplay in my car this fall. This genre-bending record features Mick Jagger, Joss Stone, Dave Stewart, A. R. Rahman, and Damian Marley. It’s R&B meets reggae meets rock and it’s great from top to bottom. Dave Stewart is really the brains behind this collaboration and that shouldn’t surprise anyone given his body of work. Jagger gives the band a rock and roll edge, and Joss Stone is her usual soulful goddess. Throw in Rahman (the Indian guy known for the for the Slumdog Millionaire music) and Damien “son of Bob” Marley and you have one of the most intriguing combinations ever recorded. Miracle Worker was the big hit this summer but I loved the whole album. Have I mentioned that I’m in love with Joss Stone? The Goat Rodeo Sessions by Yo-Yo Ma, Stuart Duncan, Edgar Meyer and Chris Thile — I saw these guys on The Colbert Report and was truly blown away. What would happen if you took four of the world’s best classical musicians and put them together to record a classical/bluegrass album? A Goat Rodeo apparently, which is their term for a chaotic situation. It’s friggin amazing. Take a listen to Attaboy and you’ll get the idea. 10. Sky Full of Holes by Fountains of Wayne — I suspect this album isn’t going to make too many “best of” lists for 2011 but FOW is one of my favorite bands and even though this isn’t one of their best efforts it’s still Fountains of Wayne and that means I like it. Sky Full of Holes is not as upbeat as the band’s last few releases, but the slower songs are still full of the story-like lyrics and biting wit that defines these guys. It’s a solid listen with a few gems. Richie and Ruben is definitely one of the highlights. 9. Different Gear, Still Speeding by Beady Eye — Yes, it’s pretty much Oasis without Noel Gallagher but it’s Oasis nevertheless! If you are an Oasis fan (and you bloody well should be) then you’ll really love Beady Eye. This record begins where (What’s the Story) Morning Glory left off and delivers on the Oasis sound. Love it. Check out The Roller for your Oasis fix. 8. The Awakening by James Morrison — This record sneaked up on me this year and provides some proof that Spotify is great for introducing people to new music. I’ve liked Morrison’s voice for years now but never listened to an entire record — but Spotify changes the game so I was able to hear the whole album. It’s wonderful and has inspired me to go back and listen to his older records. Take a listen to I Won’t Let You Go for a sample of his unique sound. Sure, he looks like Chris Martin but he sounds like Seal! 7. Yes & Also Yes by Mike Doughty — This guy has been making great music since the 9os but I only discovered him a few years ago when a neighbor dragged me down to Tucson to see a live show. He has been in heavy rotation for me ever since and his new album is classic Doughty. The former lead singer of Soul Coughing keeps on rockitty rolling and his voice is one of a kind. My favorite tune on the new record is Na Na Nothing…enjoy this great song and amazing video! 6. Ukulele Songs by Eddie Vedder — This is one of the most beautiful records in years and the combination of ukulele music and Vedder’s tremendous voice makes me want to run away to Maui for good. The ukulele is awesome and Vedder plays it like a true fan, but let’s be honest — the voice is the star of this record just like every Vedder/Pearl Jam record ever made. If you liked the Into the Wild soundtrack he did from a few years ago you’ll love this. Longing to Belong is my favorite song on this moody and gorgeous album. 5. Codes & Keys by Death Cab for Cutie — I love DCFC and Codes & Keys is a great album. These guys keep getting better and better and I can’t get enough of their sound. Check out this amazing video for Home is a Fire directed by artist Shepard Fairey. 4. Mylo Xyloto by Coldplay — I’m still a huge Coldplay fan and consider them one of my all-time favorite bands…so there! I’m still spending a lot of time with Mylo Xyloto to fully take in all the nuances and beauty but I have to say it’s another very strong recording from the band. Like all of Coldplay’s albums the more I listen the more I like. The hit songs are always solid, but some of the lesser known songs also rock…for example Charlie Brown which I love. I was looking forward to this release all year and it does not disappoint. 3. 21 by Adele — By now there is no denying that Adele is a superstar. 21 has taken the world by storm and tops many a “best of” list for 2011. It deserves all of the accolades and it will likely add to Adele’s Grammy count. She’s such an unassuming superstar, especially when you compare her to the likes of the other artists at the top of the charts like Rihanna, Taylor Swift and Katy Perry. She has an incredible voice, and for such a young woman she writes songs like she’s seen it all. I surprised a lot of my friends by listing 19 as my favorite album of 2008 and 21 came close to topping my list this year. I loved 21 top to bottom from the very first listen and apparently most of the world agrees — the girl can sing. My favorite song from 21 is Set Fire to the Rain but every song is special. 2. El Camino by The Black Keys — It has only been out for a few weeks but it’s already wearing out my iPhone and testing the speakers in my new car. El Camino is everything you want in a rock and roll album and I’m thinking I already like it more than last year’s Brothers. It’s upbeat from start to finish and the Keys’ play their instruments like each performance is the last they’ll ever have. There’s not much you can say about this besides turn it up! Here’s a clip from SNL last week of the Keys doing Gold on the Ceiling. 1. 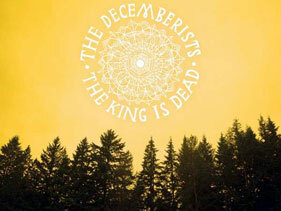 The King is Dead by The Decemberists — I have to admit it was a tough call this year because I liked so many albums equally, but if I’m being honest the album that I enjoyed the most this year was this one. I think it all starts with Colin Meloy’s voice and then you add in all the unique and interesting musical sounds from the band and this record just delivers. I’m not sure where you stick them in terms of genre because there’s elements of folk, rock, country, baroque, you name it. All I know is that I love it. The more I listen to The King is Dead the more I hear early REM, which is not too shabby of a comparison. I absolutely loved 2009’s The Hazards of Love which was sort of a folk-rock opera, but The King is Dead delivers the same sound plus a handful of really great memorable pop songs like Down by the River, This is Why We Fight and my favorite…Calamity Song. Bon Iver for best new artist? Been around since 2007. The Black Keys for Best Pop Duo/Group? Pop? Really? Foo Fighters are nominated in Best Rock and Best Hard Rock categories. What’s the difference? Not much if the Academy can’t even decide where they belong. Coldplay gets nominated for Best Pop and Best Rock song. Huh? Wilco gets nominated in the Best Rock Album category but not Best Alternative Album or Folk or Americana? What the heck is “Alternative” anyway? The Civil Wars get nominated for Best Country Duo song for Barton Hallow. Country? Not folk or Americana, or alternative? Oh wait, the Civil Wars did get nominated for Best Folk album as well. Along with Fleet Foxes and Eddie Vedder. You heard me right, Eddie Vedder. What, no ukulele category? WTF? Why do we have all these Latin music categories? Isn’t there already a Latin Grammy Award ceremony? The Grammys are a joke. Popular music can no longer be categorized in the old ways, which is why everyone was so upset when Arcade Fire took home the top award last year (not me by the way…The Suburbs was one of the best albums of the year, it was just not in the right category). Something needs to be done. 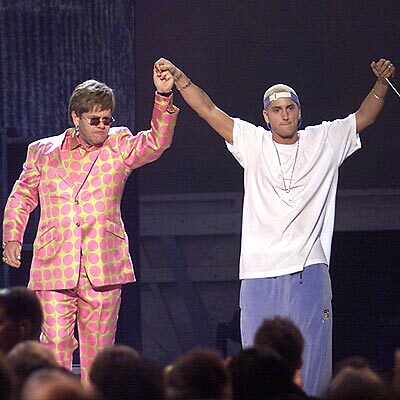 I don’t like to miss the Grammys because we are inevitably treated to some magical “once-in-a-lifetime” performances like when Elton John backed Eminem or last year when Mumford and Sons played with Dylan. This year I’m hoping for a cool tribute to Amy Winehouse. I’d like to see Nikki Minaj join Foo Fighters and Lady Antebellum for a Winehouse medley! Will Sweden-based Spotify be iTunes’ Waterloo? Lost in all the hype this week about Google Plus was perhaps the biggest news in the music industry since Dylan went electric — the Swedish are coming, the Swedish are coming! 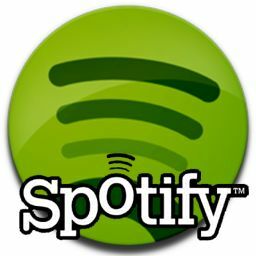 Online music service Spotify announced it is coming to the U.S. after several years of false alarms and rumors. So what? Why all the hype? Well, several music services (Rhapsody, MOG, Pandora, iTunes Cloud) have threatened to change the way we buy and listen to music, but none have the success rate of Spotify. In Europe, Spofity has more than 10 million users and a million paying subscribers. That’s a huge user base and from what I’ve read its both comprehensive and easy to use. If the pricing structure rumors are true…and they probably are…for $10 per month American users will be able to listen to “any track, any time, anywhere.” As my 13-year-old son says: “nobody buys music anymore dad!” If he’s right…and I believe he is…I won’t be buying music anymore, but rather I’ll be buying the right to listen to whatever I want wherever I want and at only $10 per month that’s a hell of a deal. The news media has been all over this story this week, and many of them are warning us not to assume Spotify will change everything. But it already has. Plenty of my friends have jumped into Rhapsody and I’ve stayed on the sidelines. Spotify comes with something Rhapsody doesn’t have — customer loyalty and brand appeal. Spotify is cool. Wired compares the service to “a magical version of iTunes in which you’ve already bought every song in the world. If you’re like me you’ve always bought the music you want. I have hundreds of CDs gathering dust, and even some casette tapes in neat carrying cases tucked away in my closet. And with the switch to digital music I still buy music when I find something I like. It’s natural for my generation to want to own the music. But with Spotify comes the tipping point for the subscription model. Why store CDs or even gigs of digital music on an external hard drive anymore? What’s the point? The music is in the cloud and it will always be in the cloud…the question becomes not whether to buy the new Eddie Vedder album, but rather which service to listen to it on. With Spotify you can stream the album on your computer, on your iPhone, on your iPad…in your car, at the gym, at work. It’s always there and you can listen on any platform. It is truly like having a Tower Records in your pocket. Owning music is so last century. All of us have a favorite band or musical artist, and more than likely there is a personal story behind why that artist is our favorite. I listen to a ton of music across a wide range of genres, and while certain artists may spend some time in heavy rotation in my collection there is only one artist that qualifies as my favorite — Joe Jackson. If you’re not a fan of Joe Jackson, you may be thinking to yourself “isn’t that the guy from the 80s who sang Steppin’ Out?” Yep, that’s the guy. Like a lot of so-called one-hit wonders, there’s a lot more to the story. The truth is, Joe Jackson has been recording consistently amazing music for five decades and his newest album — a collection of reinterpretations of classic Joe Jackson songs from across the decades called Live Music— will be released June 7 in North America. It will be JJ’s 29th album all tolled. You can bet I will be downloading it on release day. If you don’t know much about Joe Jackson, it’s probably because there hasn’t been much place for him on commercial radio since the early 80s. He has had six songs chart on the Billboard Hot 100, the first 1979’s Is She Really Going Out With Him? and most recently 1984’s Happy Ending. Chart success in his native U.K. hasn’t been much better — he’s charted eight times in the U.K. and not once since 1986 (Left of Center with Suzanne Vega). Yet I’d argue that no other artist has a more diverse and wonderful collection of albums. He’s a genre buster and mainstream music has little place for an artist that they can’t fit neatly into a little box. Just check out what Wikipedia lists for his genre: Punk rock/ska (early), new wave, jazz pop, jazz, and classical music! That is the very definition of eclectic in my mind (I’m still waiting for JJ Sings Nashville Hits)! I “discovered” Joe Jackson in 1982 with the release of Night & Day, his most mainstream record ever and the album that brought us the aforementioned Steppin’ Out along with Breaking Us in Two. I was immediately struck by the jazzy feel and the witty lyrics. It wasn’t long before I went back to listen to his earlier work including Look Sharp, I’m the Man and Beat Crazy, an energetic trio of punk-infused pop classics. And then just when I thought I had JJ figured out he released 1984’s Body and Soul, a jazz pop album inspired by Blue Note greats like Sonny Rollins and John Coltrane. You may remember the one hit from that album — You Can’t Get What You Want (Till You Know What You Want). I saw Joe Jackson for the first time on that tour at the outdoor amphitheater at San Diego State with Howard Jones, the first of three times I’ve been fortunate enough to see JJ live. Over the next several years Joe released a series of great pop albums like Big World, Blaze of Glory and Laughter & Lust, and he threw in a few classical releases as well just to keep his fans on their toes. In 1997 he released Heaven & Hell, a collection of songs based on the seven deadly sins with guest vocalists including Suzanne Vega, Jane Siberry and Brad Roberts from Crash Test Dummies. And then in 2000 he released a sequel to Night & Day called Night & Day II, which has since become my favorite Joe Jackson album. In 2000 he also released Summer in the City: Live in New York, a live CD made up of great takes on his own hits and covers as diverse as The Beatles, Steely Dan and Duke Ellington. His most recent studio release was 2008’s Rain. I love Joe Jackson for his unique style, his brilliant and edgy lyrics and his musical fearlessness. His lyrics spoke to me as I was growing up. What did it mean to be a man? What was love about? What made life worth living? He wrote songs about politics (Right & Wrong) and songs about sexual desire (Jamie G). He wrote about the difference between men and women (It’s Different For Girls) and about recapturing youth (Nineteen Forever). He wrote about longing for home (Hometown) and about chasing your dreams (Go For It). Basically he wrote about the things I was thinking about. He may not have the best vocals of all time, but he can sure write a great song and he can play the piano like nobody’s business. If you like Joe Jackson, then I’m sure you’re excited about the new record. If you don’t know much about JJ, give him a try. Start with the early punk stuff, move into the jazzier stuff, and then listen in to some of his latest work from the past decade or so. You won’t be disappointed! If you need a place to start, take a listen to one of his various greatest hits or live albums. You can find everything you need at www.joejackson.com. And let me know what you think. If you enjoyed music in the 90s you probably listened to your share of Oasis. For a while they were the biggest band on the planet, and of course Noel and Liam Gallagher did everything they could to throw it all away in a series of drunken stupors — now that was rock and roll! Oasis tried to stay together over the last decade, and even made some records, but nothing came close to classics like 1994’s Definitely, Maybe and 1995’s (What’s the Story) Morning Glory? 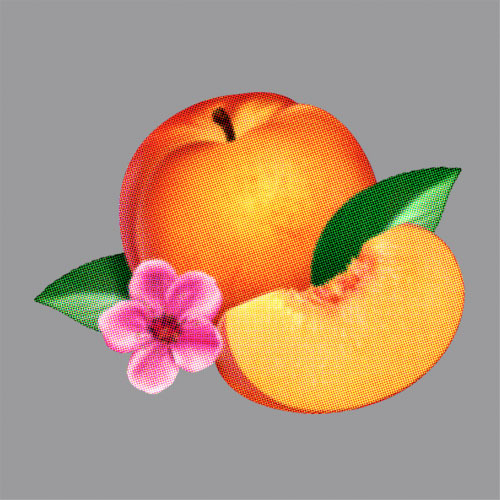 which is one of the best records of the decade in my humble opinion. It sounds just like Oasis to me; in fact, it sounds like early 90s classic Oasis. Fan reviews have been solid and Beady Eye concerts are selling out across Europe and Japan. As of right now they are only making a few North American tour stops this summer before returning to Europe for more shows. I plan to give the record a good solid listen before making any major declarations about the return of Oasis, but I’m definitely, maybe impressed with the first song. The video for another tune, The Millionaire, is on their website at http://www.beadyeyemusic.com/ and it has a wonderful 60s sound to it that is a nice homage to the band’s influences like The Jam, The Kinks and of course, the Fab Four. What do you think? One of the downsides of the demise of commercial radio is that it’s hard to know when your favorite artists are releasing new music. It’s not as if you’re going to hear anything progressive on the local Top 40 station, so if you’re like me you get your new music news on the web or stay in touch with your favorite artists by liking them on Facebook and following them on Twitter. If you don’t do that, you probably had no idea k.d. lang was releasing her first studio album in three years tomorrow. For my money, k.d. 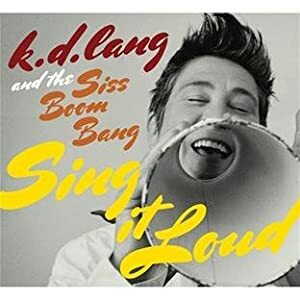 lang has the best voice in popular music and she’s been thrilling fans with her golden pipes for 25 years. I first discovered k.d. back in 1989 with the release of Absolute Torch and Twang, the first time I ever purchased anything even remotely similar to country music. I vividly remember turning up the volume really loud on “Pulling Back The Reins” and letting the music wash over me like a summer storm. I was hooked. Over the years she has gone from alt-country crooner to pop star (see 1992’s Ingenue and 2000’s Invincible Summer) and back a few times, always relying on her amazing voice to inspire fans new and old. She did duets with Tony Bennett. Did a great soundtrack to a terrible movie based on a great book (Even Cowgirls Get the Blues), and last year released a retrospective. But it was perhaps on the biggest stage ever that she showed the world just how gifted she is when she performed an unforgettable version of Leonard Cohen’s Hallelujah at the opening ceremonies of the 2010 Winter Olympics in Vancouver.